While I am not someone who is paranoid about things, there is one thing that used to always concern me: losing my pictures. Though I have never lost any data/pictures due to computer failure, I have always been concerned that something would happen and I would lose all of my work. A few years ago I discovered Carbonite, and it has delivered such peace of mind! It automatically backs up everything on my computer through the Internet–and I don’t have to do anything! This proved especially helpful when the screen on my laptop died in 2009 and I had to get a new computer. I was able to download Carbonite onto the new computer and it moved everything over for me! This saved me hours (as well as tons of CDs) of valuable time. I highly recommend Carbonite for data back-up. It’s more reliable and more secure than an external hard-drive and it requires no effort on your part. It’s $55 a year, which is a bargain. AND, if you sign up through this link you and I will both receive a $20 Amazon.com gift card! I spent 68 hours at gas stations throughout the month of July. This experience gave me plenty of time to make observations about what I have deemed the “Gas Station Etiquette” of a majority of the people I observed. Some of these observations were frustrating, some amusing. I decided that I needed to blog about these things because it is apparent that some people were never taught how to behave properly while visiting a gas station. 1. When arriving at a gas station and pulling up to a pump, slow down. Be aware that there are other cars and people around you. 2. When you pull up to a pump, park 1-3 feet from the pump, not 5-6. You block traffic and the hose isn’t always long enough to reach your vehicle when you’re too far away. 3. Turn off your engine. It’s the law. And it’s a law for a reason. I don’t care if it’s hot outside. You’ll survive when you get back into your car. 4. Never leave your vehicle while gas is being dispensed. Just because you really need Starbucks doesn’t mean you should walk across the street while pumping. This is inconsiderate and dangerous in so many ways. 5. 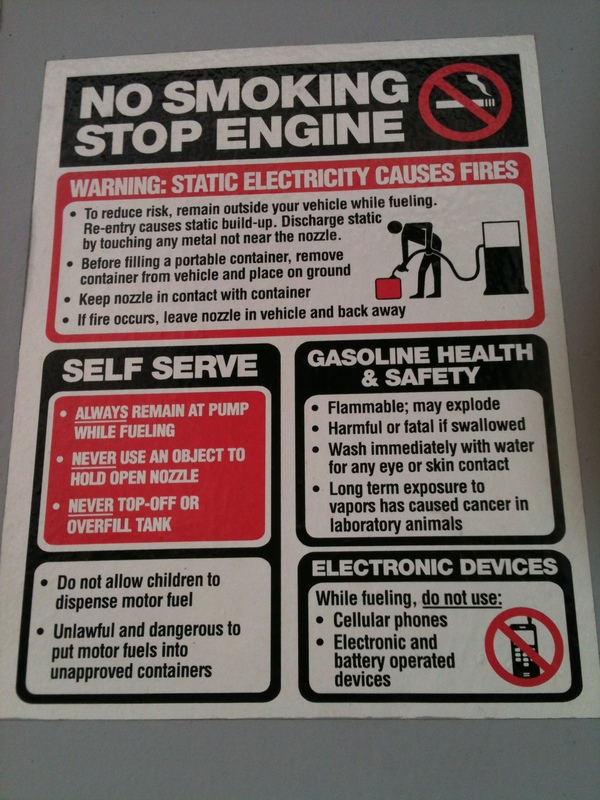 Do NOT smoke near the pumps, or anywhere near the fueling area really. True story: At one station in particular, I was standing 5 feet away from two men who were standing right next to the pump smoking while they pumped gas. Even worse, they LIT their cigarettes while pumping. Shall we go back to basic science? Gasoline and its vapors are flammable. I backed away quickly to reduce any damage that might occur should an explosion have taken place. 6. You must always pay before pumping. Don’t be surprised or feel inconvenienced. It’s been this way for a LONG time. 7. If a receipt prints, either take it and keep it or throw it away. Do not leave the receipt hanging from the pump and don’t stuff it into the plastic brochure holders attached to the pumps. Those are not trash cans. 8. The fueling area is NOT a parking lot. If you need to go into the store, drive to one of the conveniently located and clearly marked parking spots near the entrance. 9. Just because it is convenient for you to park right in front of the store entrance or in the middle of the parking lot (where there are no parking spots) doesn’t mean that it’s convenient for everyone else. There are painted lines for a reason. 10. When you go into the store, turn off your car. There is no need to leave it running, unlocked, unless you really want to get rid of your car. Do not leave it idling for ten minutes or more (I saw this SO many times). It wastes expensive gasoline. I’m sure there are more things that I could share, so I’ll update as I remember more. All in all, I observed a complete lack of consideration for others during my time. What happened to putting others before yourself? What is your biggest “gas station etiquette” pet peeve? I am lactose intolerant. Pretty severely, actually. For years I suffered, even when I did my best to avoid dairy (which is really hard to do because it appears in everything, and this was before the USDA required that allergens be on the labels). Lactaid didn’t work, so I just tried to watch everything I ate. One day I was browsing the Lactaid area at Walmart in 2007 to see if there were any other products I could try, and I came across this one. I decided to try it, and nervously began incorporating dairy back into my diet. The verdict: I have been taking it daily for nearly five years and I am symptom-free! I can’t express my appreciation for this product enough, nor can I recommend it enough. For less than $7 a month, I can eat anything and not suffer from stomach pain. Now I have a 3-pack delivered every three months from Amazon, which makes it even more convenient. I feel great, and I have this probiotic to thank. If you are lactose intolerant, please try this product. 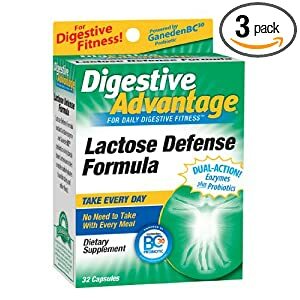 This company makes a lot of other digestive supplements and I’d assume they all work as well as this one! I have inherited a tendency toward really dry heels in the summer (thanks, Dad! ), and some summers are worse than others. In May, I started to notice that the thick calluses were already developing, much to my dismay. I mentioned this to my Mom one day on the phone, and she said that I “just had to try” this new product they found at Home Depot (of all places to get skin-care products!). So, Brennan and I went that week and I’ve been using it regularly since then. 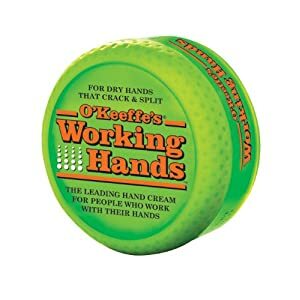 The product is called “Working Hands” but it works on feet as well. They do make a foot product but I wasn’t able to find that at Home Depot. This product is found in the paint section. The verdict: IT WORKS. Amazingly. My heels are back to normal after less than a month of using it at night (not even every day, because I forget sometimes). It has no scent and it doesn’t leave your feet greasy at all. For less than $8, I have saved myself the cracking skin that causes pain! I highly recommend this if you have dry skin on your hands or feet! Congratulations, and thank you to all for participating! I hope to continue to get copies of books to give away! How I chose the winner: There were four entries, so I assigned each one a number (based on the time/date of comment, first to last) and had Brennan pick a number between one and four (he had no idea why I had texted him to ask him to do that!). That’s as random as I could get! He chose number 3, which was Shannon!